We studied peculiarities of the autonomic reactions related to emotional experiences in persons with different characteristics of their individuality. To model emotional states, tested subjects were proposed to mentally reproduce situations evoking a sense of joy (positive emotions) and a feeling of grief (negative emotions). During such emotional tests, cardiointervalographic (CIG) indices of the subjects were examined. The following properties of the individuality were taken into account: (i) extraversion/introversion as the temperament parameter, (ii) externality/internality as a characteristic of the locus of psychological self-control, and (iii) extrapunitivity/intropunitivity as a characterological feature manifested in frustration situations. Sympathico-parasympathic influences were more powerful than central influences in regulation of the cardiorhythm in tested subjects with clearly “externally directed” reactions to emotiogenic factors (extraverts, externals, and persons with an extrapunitive type of reaction). Vice versa, shifts of the autonomic balance toward activation of the sympathoadrenal link, relatively low efficacy of baroreflex regulation, and strain of regulatory systems of the organism were observed at a high level of introversion in examined persons. Physiological adaptation to the action of the various stressors, including the emotional ones, is realized mostly by the system cerebral cortex – hypothalamus – hypophysis – adrenal cortex. In turn, the release of adrenalin by adrenal glands activates the reticular formation and, via this structure, the hypothalamus and cerebral limbic system. Thus, it can be supposed that extraverts are characterized by higher thresholds of the emotional sensitivity, which correspond to a higher threshold of activation of the reticular formation and more intense inhibitory cortical influences upon subcortical formations. This is why extraverts manifest weaker, in general, activation of the regulatory mechanisms of the cardiovascular system after the influence of extero- and interoceptive stimuli, while in introverts such activation is more intense. 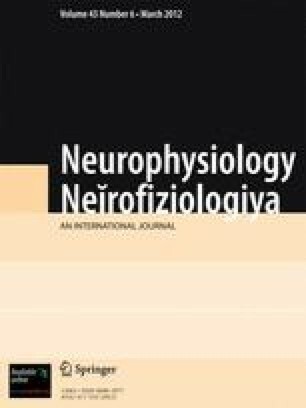 Neirofiziologiya/Neurophysiology, Vol. 43, No. 6, pp. 564-571, November-December, 2011.